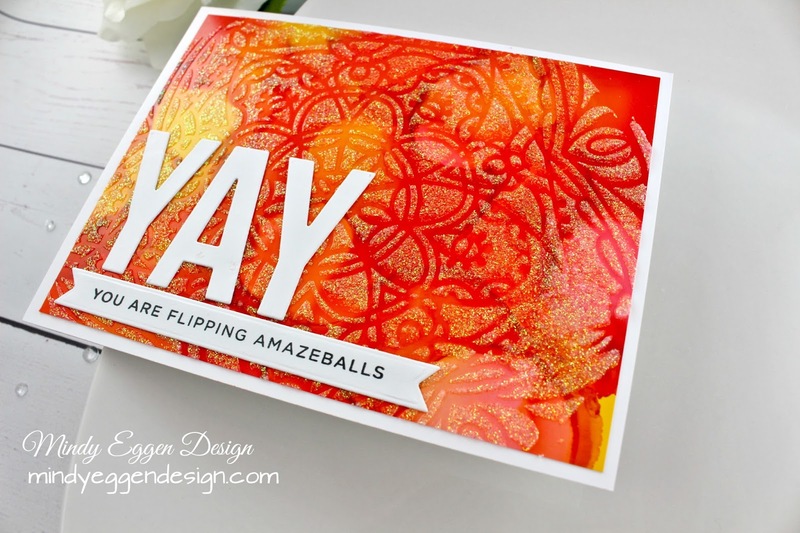 I am over-the-moon excited to be guest designing over at the Simon Says Stamp Flickr group! This week’s challenge is to Stencil it! I swear they made this challenge just for me because if you follow me you know I have a slight obsession with stencils. I have quite a few examples to show you today along with a video. I just couldn’t control myself and this isn’t even all the techniques – I’m only showcasing a few! This was a great opportunity for me to make some graduation cards since we know a few graduates this year. For my first card, I started with creating a background from alcohol inks on Yupo paper. I trimmed the panel down to 4″ x 5 1/4 and added the Carolyn stencil with some Nuvo Moonstone Glimmer Paste. This is so gorgeous! Pictures really don’t do justice. 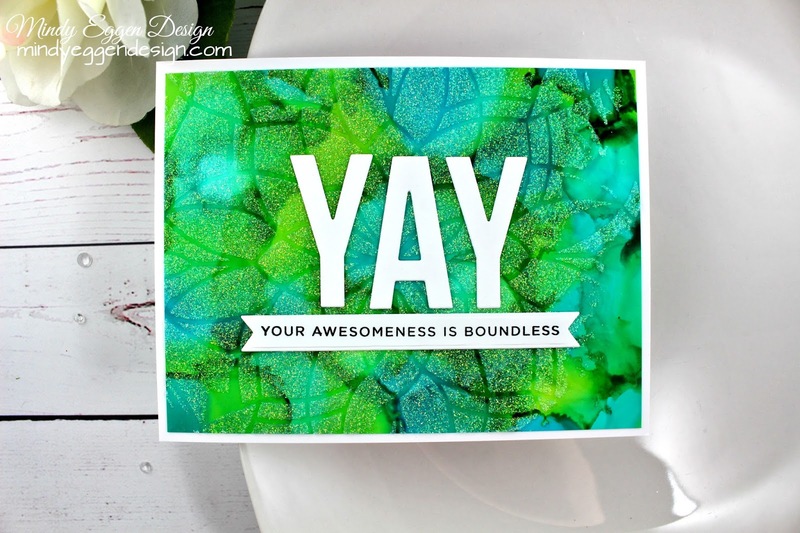 I added the diecut word from So Many Yays and the sentiment from the Emphatic stamp set. I’ve used this stamp so many times – it is so versatile. My next card, is created in the exact same way but I used different colors of alcohol inks. 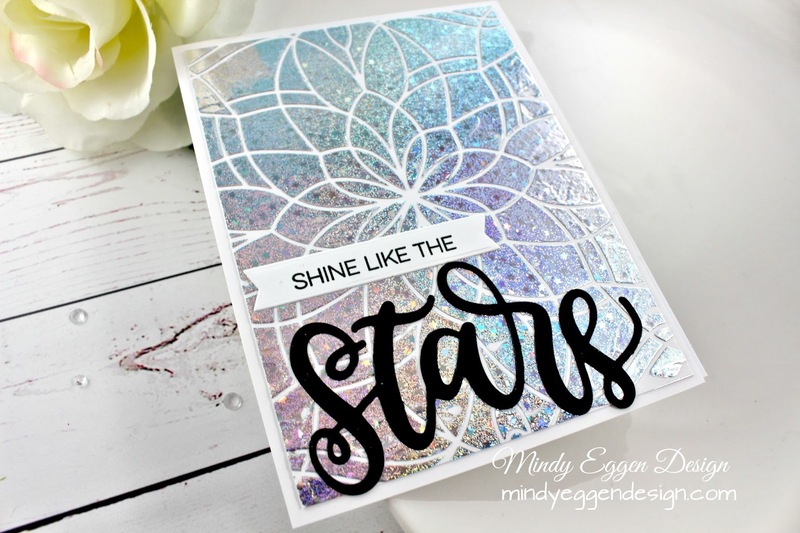 This time I also used the Star Medallion stencil from Simon Says Stamp and added the Nuvo Moonstone Glimmer paste. 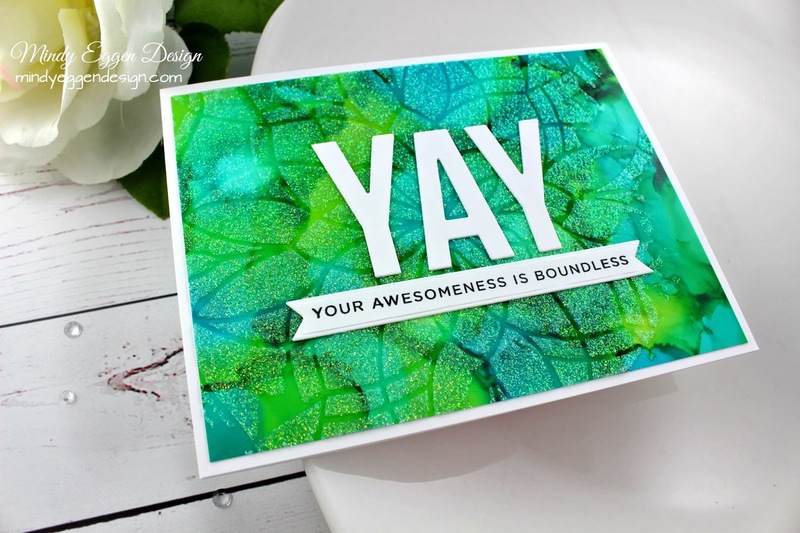 The diecut word is again from the So Many Yays set and sentiment from the Emphatic Stamp set. For this card, I created a background in more of a ‘traditional’ way. 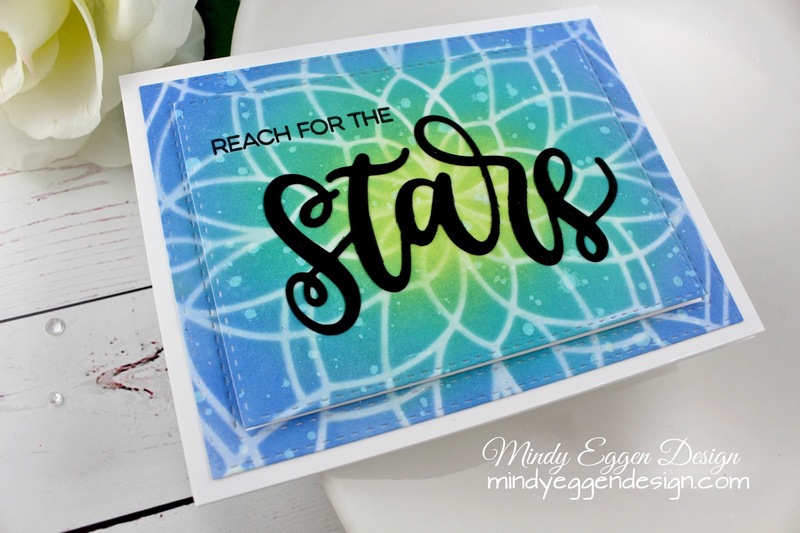 Using the Carolyn stencil from Simon Says Stamp, I ink blended Twisted Citron, Salty Ocean and Blueprint Sketch Distress Oxide inks. I removed the stencil and lightly blended over the stencil lines just to dim down those white lines a little. I die cut this ink blended piece with the Stitched Rectangles and then popped up that middle with foam squares and added to an A2 size cardbase. 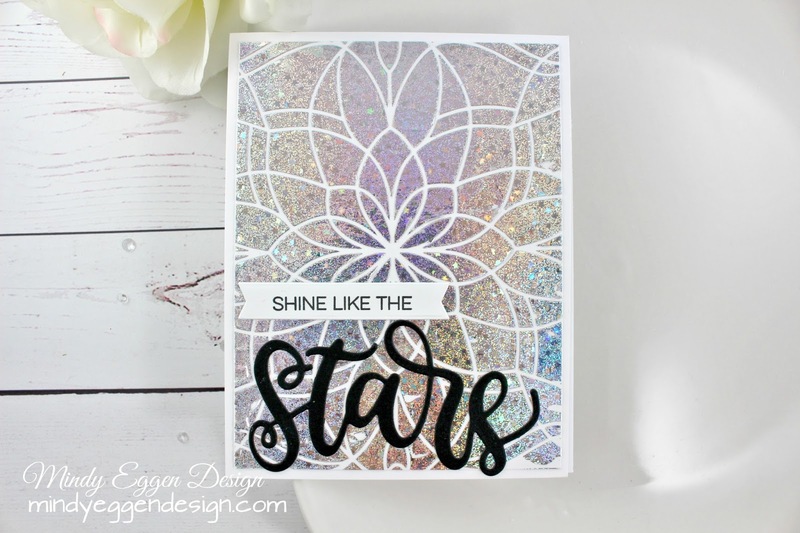 I diecut ‘Stars’ from Written in the Stars set with black cardstock and stamped a coordinating sentiment from this same set. 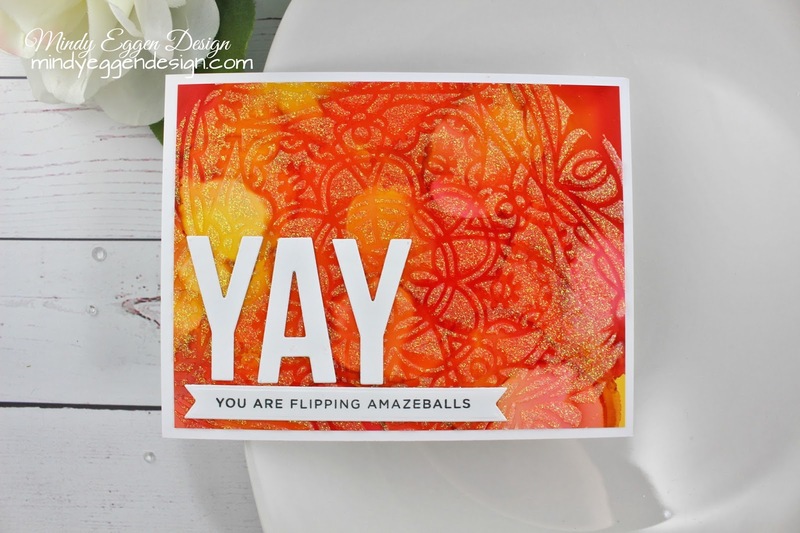 I used Versafine ink to stamp my sentiment as this really pops off those distressed backgrounds. This card was a little tricky but so gorgeous! Using the same stencil, Carolyn stencil, I added some Decofoil Transfer Gel and let that dry. Then I added some Thermoweb Sparkling Silver foil and ran through my laminator. I trimmed this down to 4″x 5 1/4″ and added to an A2 size notecard. 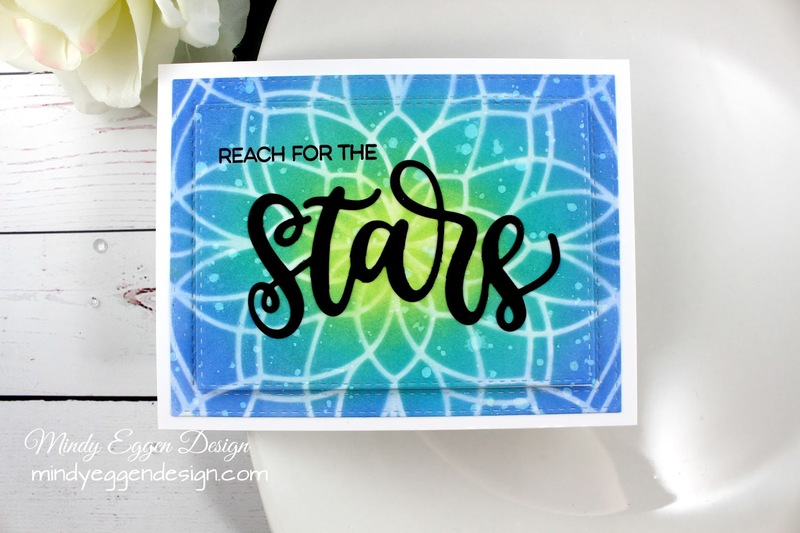 I used the Written in the Stars stamp an die again because I thought this worked out great for graduation cards. There are endless ways to use stencils but these are a few of my favorites! You can view my process video down below or HERE on my Youtube channel. 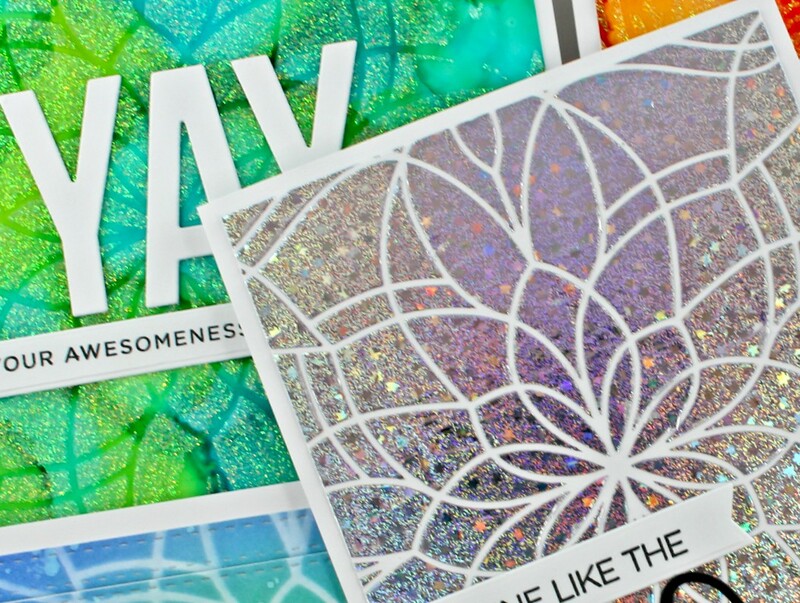 Be sure to check out the Simon Says Stamp Flickr group. I hope this inspires you to dig out your stencils and play along with us! I also have a few showing how I created these cards. You can view down below or HERE on my Youtube channel.